The Cruise Web is pleased to introduce our newest cruise line provider: AmaWaterways River Cruise Line. Specializing in luxury river cruising in Europe, Southeast Asia and Africa, AmaWaterways delivers an immersive destination-focused experience suitable for a range of vacation styles—from active adventure seekers to laid-back loungers. AmaWaterways’ modern fleet of river ships offer more space in an elegant, yet casual atmosphere, perfect for hosting onboard entertainment and locally-sourced fine dining. Stately accommodations invoke a warm sense of belonging—true to AmaWaterways’ family-owned heritage—and many feature the line’s unique “twin balconies” with an outdoor balcony paired near a French balcony. Also available on select AmaWaterways river ships are family-friendly triple occupancy or connecting staterooms! From France, Portugal and Spain and into the heart of Europe with Germany, Belgium, Austria, Hungary and the Netherlands, let AmaWaterways be your floating home-away-from-home. With over twenty different European itineraries, you could sail along the Seine, Rhone, Douro, Rhine and Danube Rivers and still have more to explore! Along the way, sip port in the city for which it’s named, delight in the rich reds of Bordeaux, hike the towering castles along the Rhine, enjoy a romantic waltz through Vienna. To discover your perfect AmaWaterways Europe river cruise itinerary, call our experts at 1-800-377-9383. Float along the Mekong River through Vietnam and Cambodia, two diverse nations which both look forward without forgetting their past. Marvel at ancient temples in Angkor Wat, receive a Buddhist blessing in Oudong, tour a floating village and let AmaWaterways transport you into a vibrant world unlike any other. For an exotic AmaWaterways escape along the rivers of Southeast Asia, call our cruise consultants at 1-800-377-9383. Explore lands rich in biodiversity and astonishing wildlife on an African safari and river cruise adventure with AmaWaterways. Cruise the Chobe River aboard the eco-friendly Zambezi Queen, which is specially designed for up-close wildlife viewing—picture elephants cooling off along the banks and giraffes stretching their necks while Africa’s biggest cats watch from their shaded perch. In addition to cruising, AmaWaterways’ Africa itineraries can include Cape Town, Johannesburg, Victoria Falls and Kruger National Park. To plan your one-of-a-kind African safari with AmaWaterways, call our friendly cruise experts at 1-800-377-9383. As with any of our cruise provider additions, The Cruise Web is confident this will be a win-win for us and our clients. 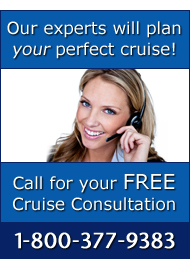 For The Cruise Web, we gain another reliable cruise provider with a great product and a strong track record of supporting agencies like ours. Most importantly, however, for clients, we further expand our product lineup to bring you more availability in popular travel destinations like Europe, Asia and Africa, and we do it with an award-winning, family-owned brand that we know you’ll love! To learn more and book your luxury river cruise with AmaWaterways—now available from The Cruise Web—call our cruise experts today at 1-800-377-9383. I’m interested in Asia or Africa. Do you have any specials for traveling with you? My husband and I will be traveling with my Mother ,turning 80. What would you recommend ? Thank you for your comment on The Cruise Web’s Blog. I will be happy to call you again today and email regarding your request for itineraries in Asia and Africa.